Let's face it, there was probably nothing funnier in 2018 than Plaid Shirt Guy's subtle critique of the US president over the Orange Man's very shoulder at a rally. But our comedy editor picks five acts who made a pretty good stab at lifting the gong for top live gig of the year. On a brief summer tour of the UK, this US comic literally tore apart conventions of decency and decorum with a show filled with gruesome jokes and borderline gags which come from angles that you least expect. Yet somehow you could still feel warmth emanating from this comic master whose pacing and delivery have very few, if any, equals. Read full review. OK, it might not have had the zingiest title of the year, but the Clydebank man's latest touring show has broken box office records, left, right and in the middle, as he regaled us with superb stories about sitting exams, being the warm-up act for Barack Obama, and re-imagining Trump as a blethering Glasgow taxi driver. Read full review. 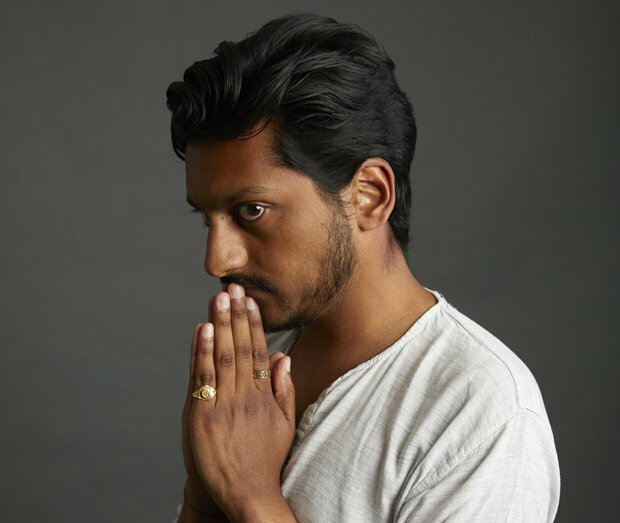 Shah earned his second Edinburgh Comedy Award nomination for the excellent Duffer, a more personal but still political hour which also featured the finest (only?) running gag ever about 'Bohemian Rhapsody'. Maybe next August will be third time lucky? Read full review. This leftfield Australian comic delivered an intriguing Fringe hour, most of which she performed under a lit-up white sheet with space cut out for her eyes. You could read all the social and political significance you want into her spectral presence, but Davis still had killer routines, lines and imagery to provide a unique stand-up experience. Read full review. One of the most wonderfully structured Edinburgh shows for a long time, in which Brookes traversed from an affable enough A to the most unlikely and actually terrifying B in 60 minutes. Using technology to literally worm his way into our heads, his mantra about being 'the riskiest comedian in the business' comes close to realisation. Read full review. ….honourable mentions go to Daniel Cook's manic, logic-bending Carpet, John-Luke Roberts' mind-warping sort-of Spice Girls tribute, All I Wanna Do Is….., Lauren Pattison's tales of finding her place in the world with Peachy, David Cross with a surreal take-down of a certain US leader in Oh Come On, The Pin's hilarious meta-frolic Backstage, Chris Rock's confessional sortie of Total Blackout, and Ciarán Dowd's utterly daft, award-winning Don Rodolfo.